Thatcham Category 5 Tracker fitted in Harrogate. View our Thatcham Category 5 Tracking Systems. Safe & Sound are one of the countries leading Trackstar Thatcham Category 5 Tracker Installation Centres. Approved by Trackstar we offer fitting of their Cat 5 Tracker throughout Yorkshire. This particular install found us in the Harrogate area. Our mobile engineers visited the customer at his work address where the installation took place. 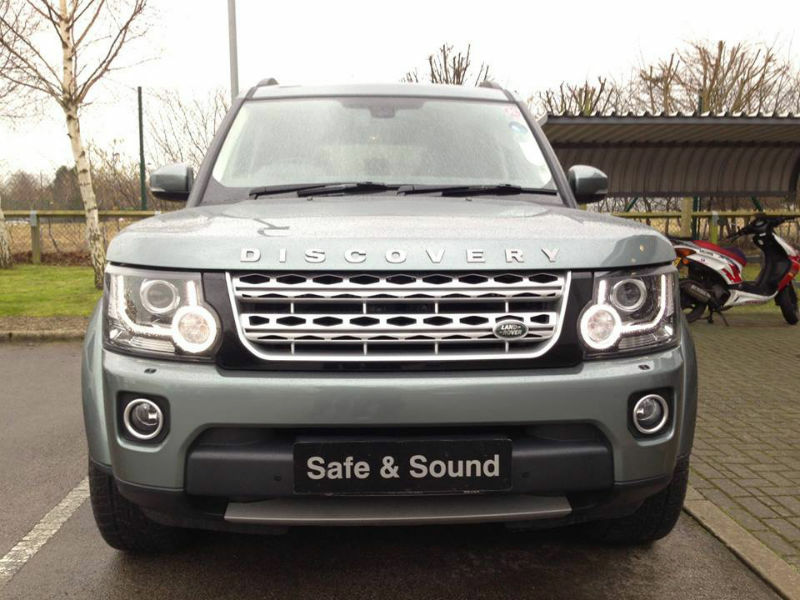 The vehicle for this Thatcham Cat 5 Tracker fitted in Harrogate was to a brand new 2014 Land Rover Discovery 4 Luxury Edition. The fitting of a Thatcham Cat 5 Tracker to this particular vehicle takes approximately 4 hours due to the complexity of its security features. This was our third installation of a Thatcham Category 5 Tracker for this customer who has always preferred the Category 5 over the Thatcham Category 6 due to the Automatic Driver Recognition tags. system for any make of vehicle and still stay within the vehicles warranty boundries. The Thatcham Category 5 Trackstar Tracker is available for installation throughout the Yorkshire area via our mobile fittiing service. Once installed to your vehicle our engineers will give you a full demonstarion of how the system works. You are more than welcome to ask any questions as our engineers will definately know the answer. If you would like more information on a Thatcham Category 5 Tracker fitting in Harrogate of any other area of Yorkshire including, Leeds, Bradford, Wakefield, York, Hull or Wetherby then please feel free to contact us.